All of a sudden my LO LOVES painting, especially finger painting. It’s odd because when I tried to get him to finger paint a few weeks ago he wouldn’t and would only used this roller thing. 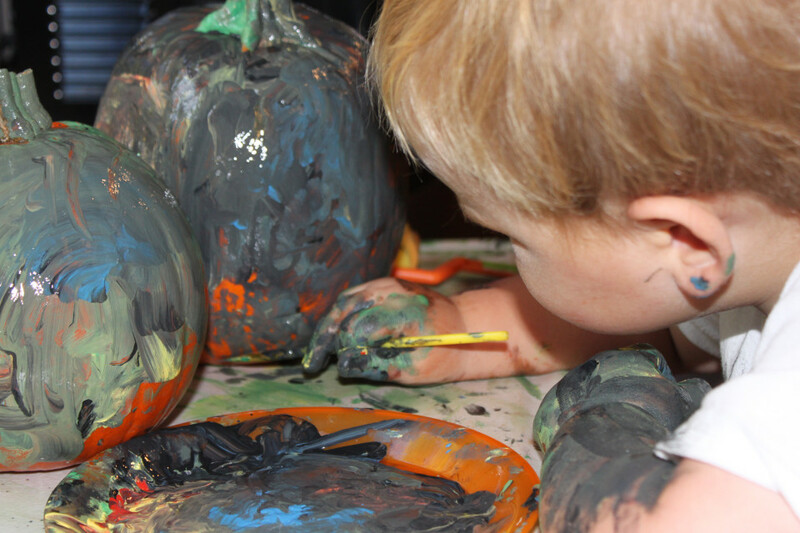 Now, he likes to use a paint brush but he uses it to paint his fingers and then uses his paint colored fingers to paint on paper, pumpkins or whatever we’re painting. 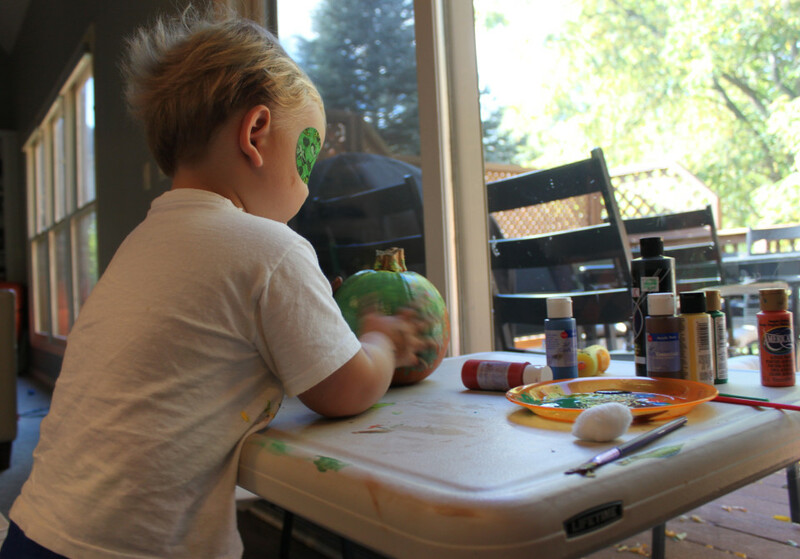 After about a week of painting everyday he has now tired of painting on paper….time to paint on other things….like pumpkins. 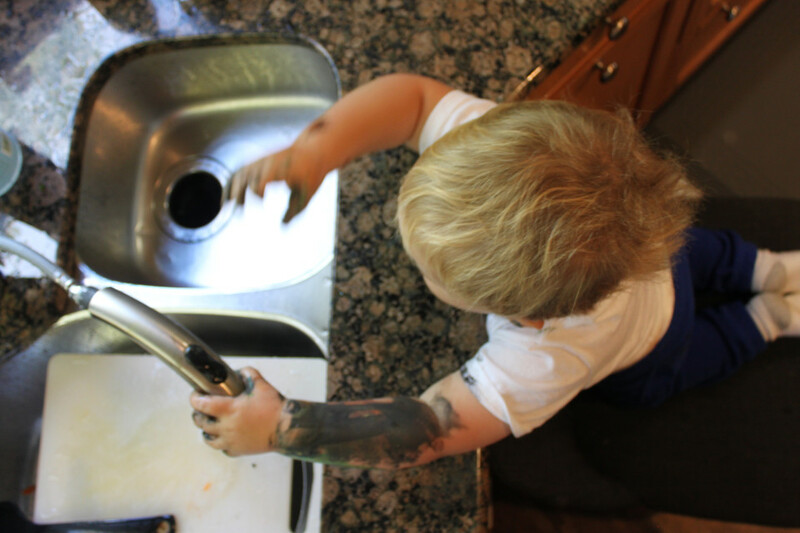 Like every toddler activity, there’s an opportunity to learn. We worked on shapes and colors (the LO has known his colors for a long time so we worked on mixing colors). 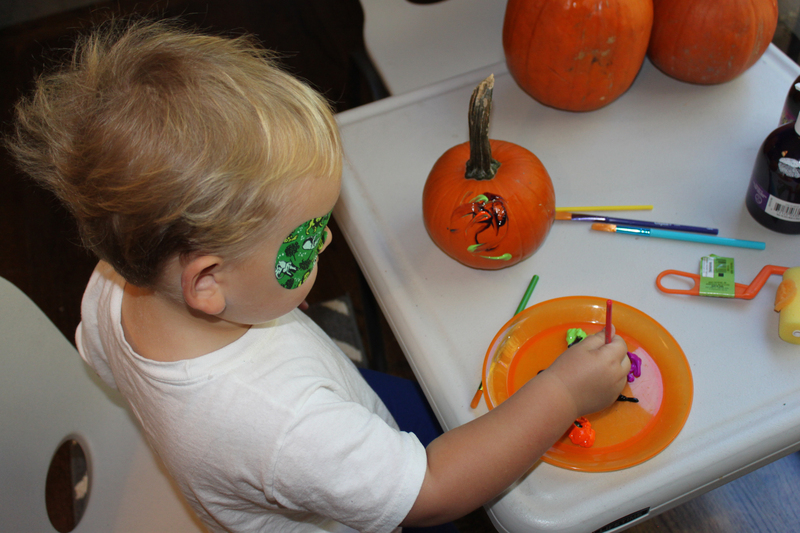 We made pumpkins with “circle” eyes and “triangle” noses, “rectangle” teeth and an “octonaut” (octagon) nose (that’s a TV show but that’s what my son calls octagons). We started with red, yellow, and blue – then he had to have black, so in all actuality, when all was said and done, the only color we had was greenish brown and black. But we did kind of mix some colors and the LO had fun! 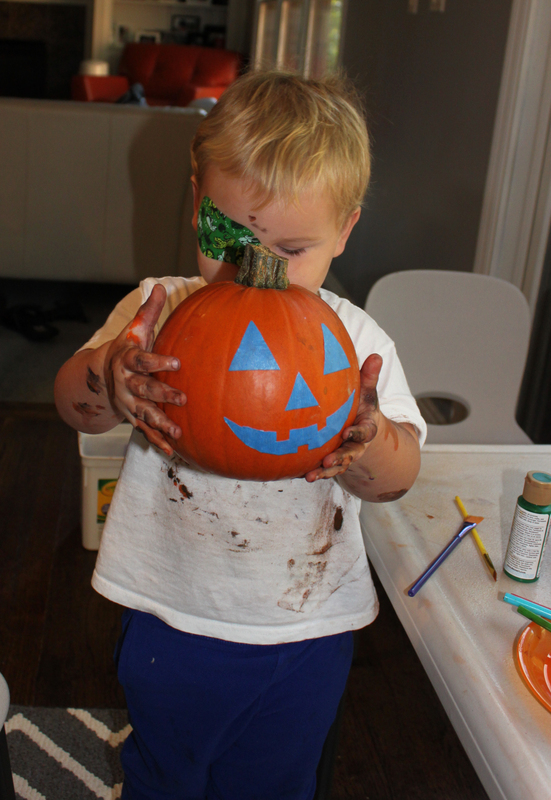 We had 1 small pumpkin and two large that we were planning to carve, but I decided to let the LO paint his instead. 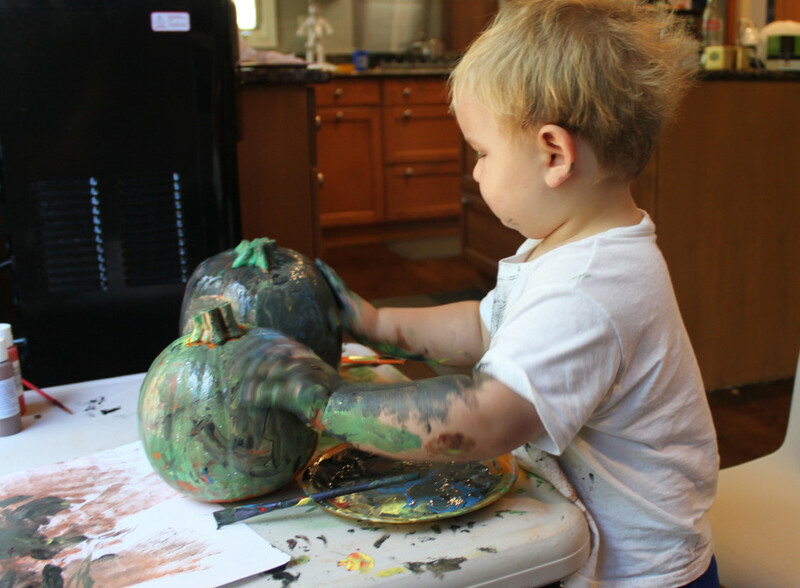 Then, he loved painting on stuff that wasn’t paper so much, that I had to dig into the handful of little pumpkins that I bought to make homemade pumpkin pies….maybe the paint will wash off so that I can still use them for food? 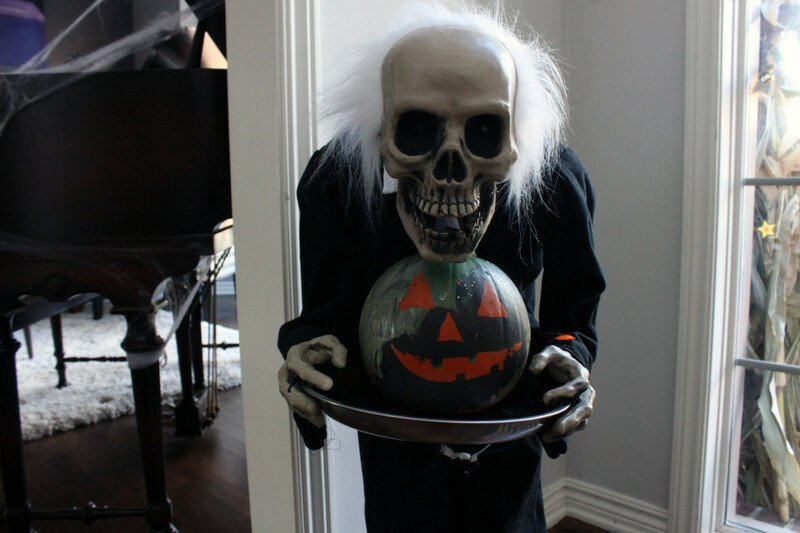 Not sure about that one….. Anyways, be prepared that one pumpkin may not be enough! 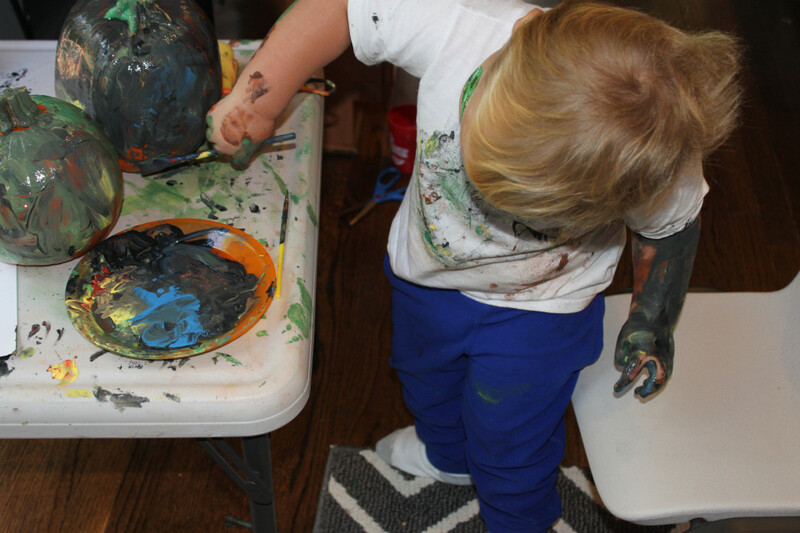 Then set up all of your paints and let your LO go wild! We have a special painting shirt (as you can see) because these are acrylic paints that will stain once dry. 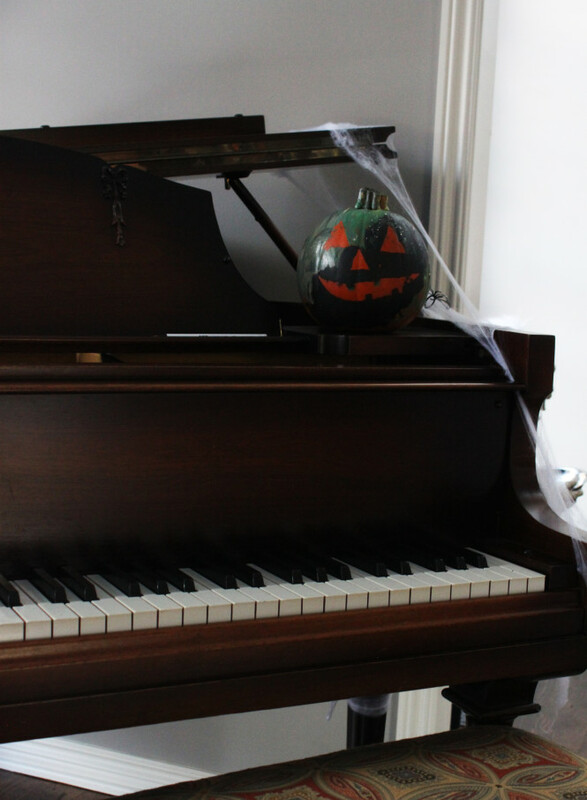 They will usually come off of things like the table once dry but you’ll really have to scrub. It’s best to wipe them up right after you’re finished. Here’s my little man having at it. 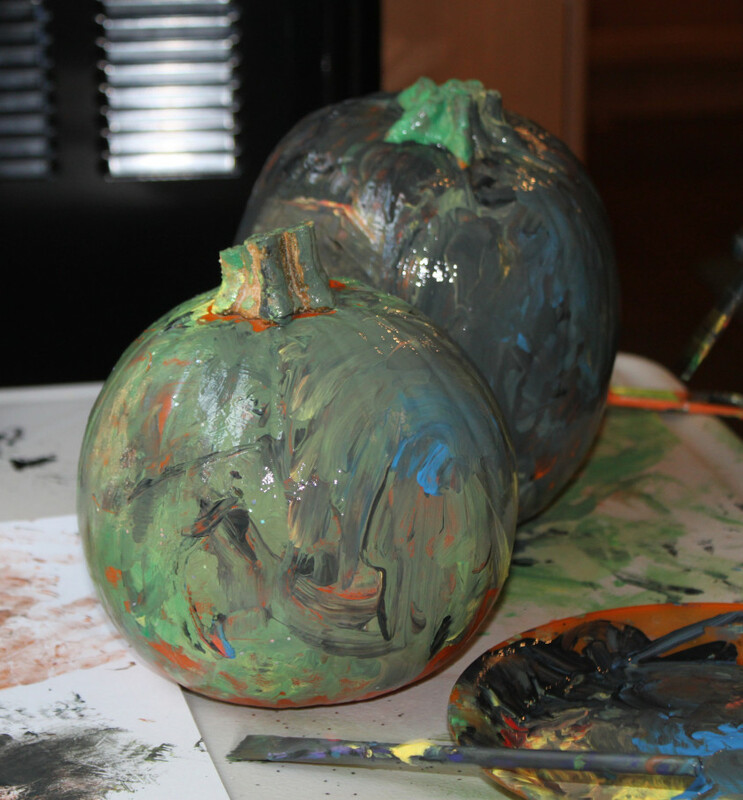 Notice the progression….. Nicely painting with a brush…. Hmmmm….. This hand seems to cover things more quickly…. On second thought, I think I like the paint brushes better…. 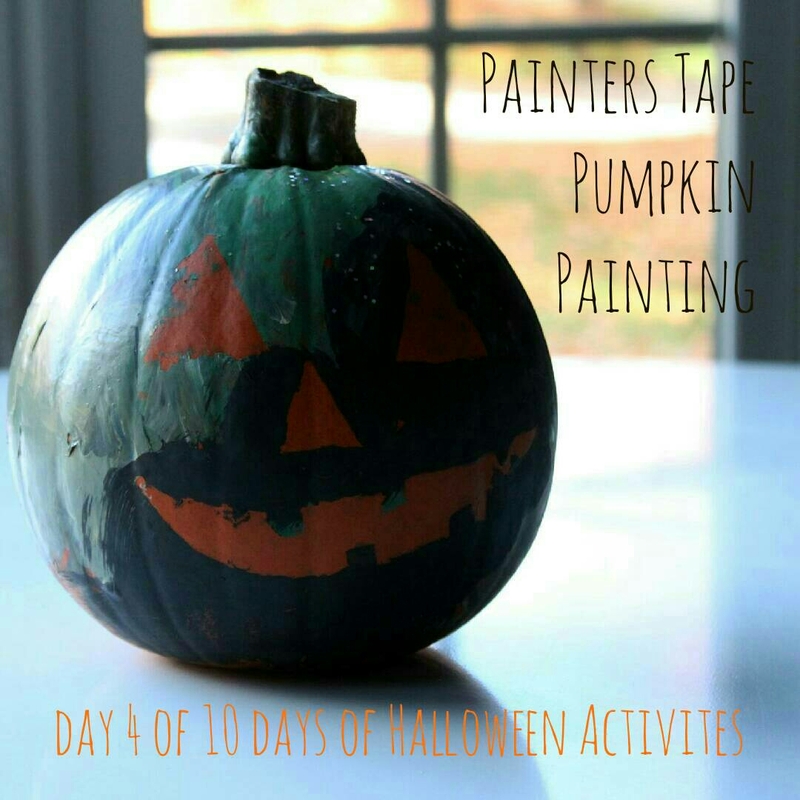 In the end you’ll end up with something like these…..
And then later, after the paint has dried, peel of the painter’s tape to reveal your jack o’lantern face….